On Tuesday evenings at NYU School of Medicine, art supplies are set out on tables and the anatomy lab is transformed into a studio, with a great spirit of creative enterprise. 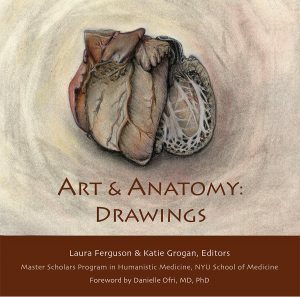 This is Art & Anatomy, a unique drawing seminar in NYUSoM’s Master Scholars Program in Humanistic Medicine. The drawings made here—by medical students, doctors, and other health professionals—show how powerful and compelling the imagery of anatomy can be. They invite us not just inside the body, but into the rite of passage that is gross anatomy.